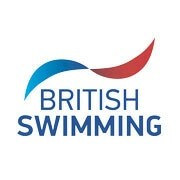 Swim England membership is necessary to be able to compete in England. You can only gain full membership by being a member of a Swim England affiliated swimming club. Joining a club offers swimmers a supportive community, access to ASA qualified teachers and coaches, and a structure with advice and guidance to ensure you develop as a competitive swimmer. To compete in England you will need Category 2 Membership. This is for members of any age who want to compete in open competitions. It gives you everything you need to train up to an international standard. The annual membership fee for Category 2 for 2017-2018 is £25.50. Category 1 Swim England membership is for people learning to swim or swimming but do not compete in open competitions (£8.70). This offers you very basic benefits and ONLY allows you to compete in low level competitions. Not for the serious competitor. To find out more about these and other options for Swim England membership please visit our dedicated members website here.